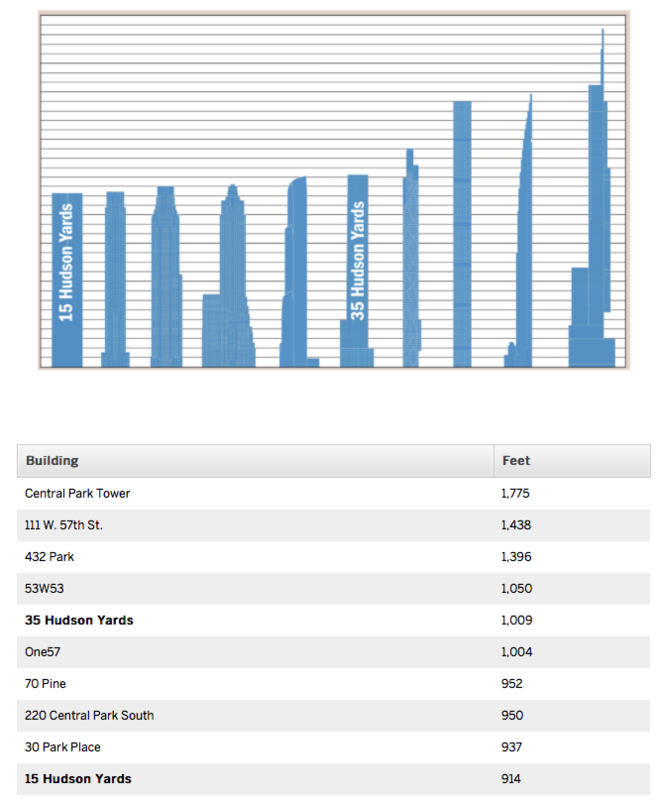 Crain’s 2015 annual analysis of a wide range of NYC data is worth a look. Get to know the biggest city in the U.S.
DeBlasio administrations meets it’s annual goal of building 8,000 annual affordable housing units – the highest total ever tracked (began in 2008). 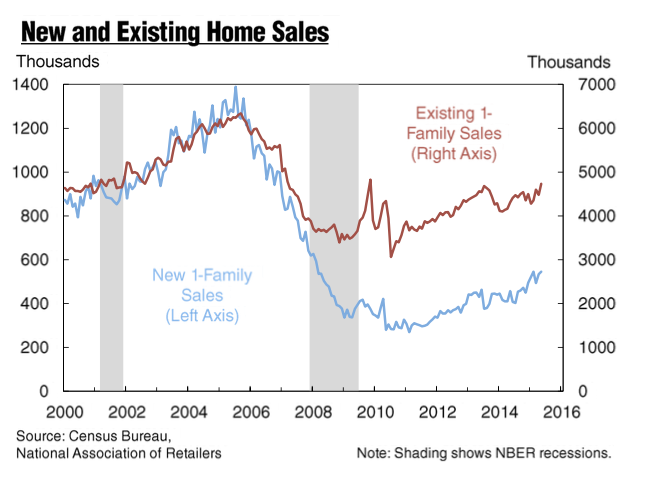 Fed Charts: How are the Housing Fundamentals Doing? 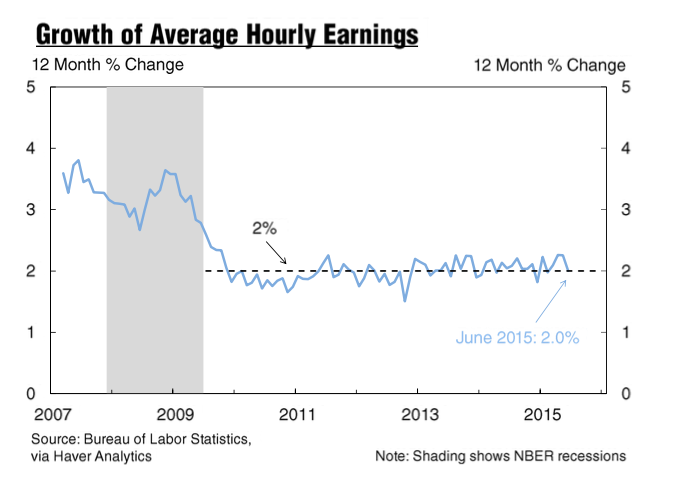 The New York Fed just put out an economic recap of the U.S. economy that is chock full of charts and data. 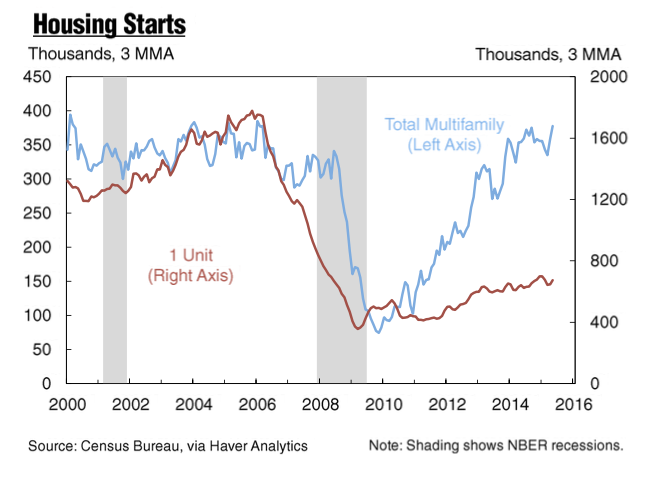 Housing starts have ramped up but most is multi-family – driven by freakin’ high rents. 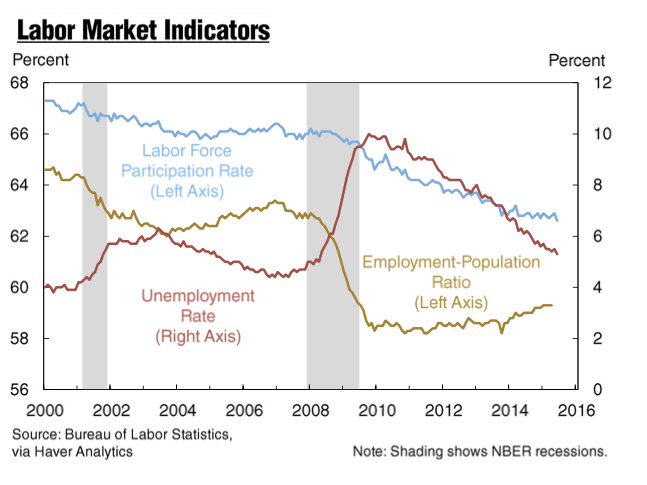 Comments Off on Fed Charts: How are the Housing Fundamentals Doing? Cracks in the “sharing economy” are forming. The ad says that nearly half of the revenue from the site goes to “real estate moguls,” a figure taken from the New York State Office of the Attorney General’s “Airbnb in the City” report from October 2014. 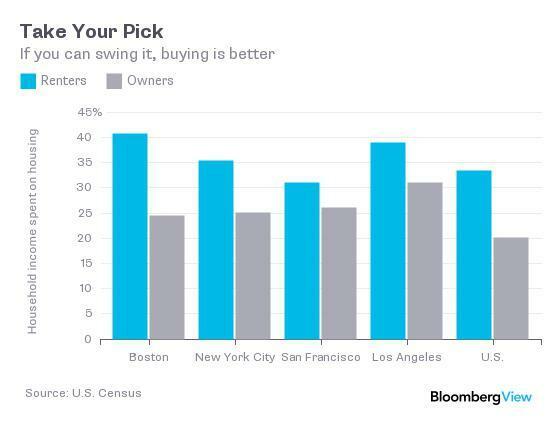 Read my latest Bloomberg View column Costly City Housing Is an Economic Drag. 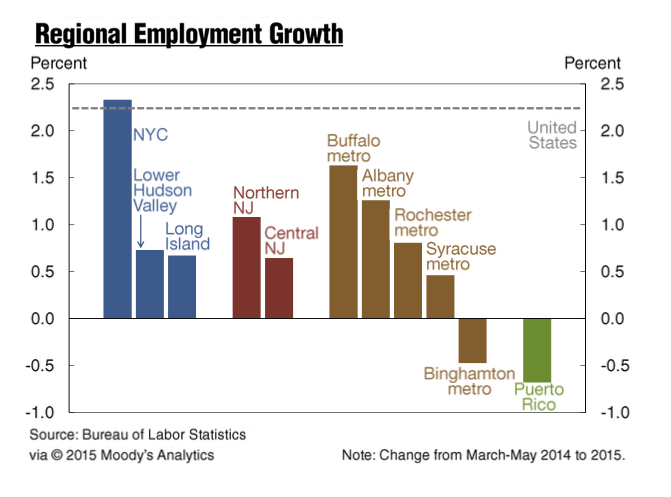 According the Federal Reserve Bank of New York, the NYC economy is crushing it, growing far faster than the states of New York and New Jersey. A coincident index is a single summary statistic that tracks the current state of the economy. The index is computed from a number of data series that move systematically with overall economic conditions. 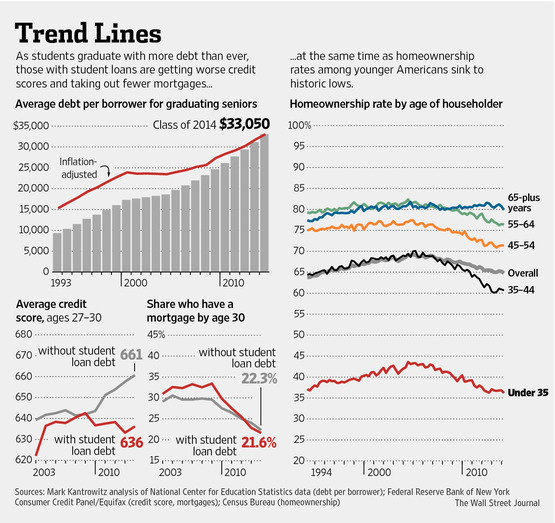 Under 35 – Lowest in 20 years – record student debt and tepid economy plays a significant role in falling rate. 35-44 – most volatile, has overcorrected – large gain during credit boom and fell well below 1994 levels. 45-54 – fell below 1994 levels but didn’t rise as much during credit housing boom. 55-60 – higher than 45-54 group but followed a similar arc – fell below 1994 levels but didn’t rise as much during credit housing boom. 65 and above – only category to finish higher than 1994 levels – not heavily influenced by credit bubble. Overall – is currently higher than 1994 levels. Coming down from artificial credit bubble high – probably won’t stop declining until credit begins to normalize. 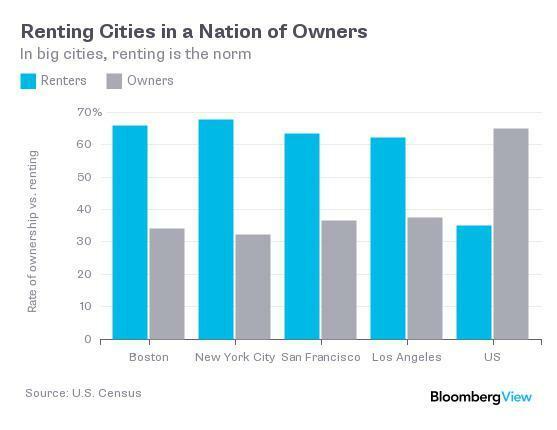 I like to say that we never had a housing bubble in the US. It was a credit bubble with a housing as a symptom. 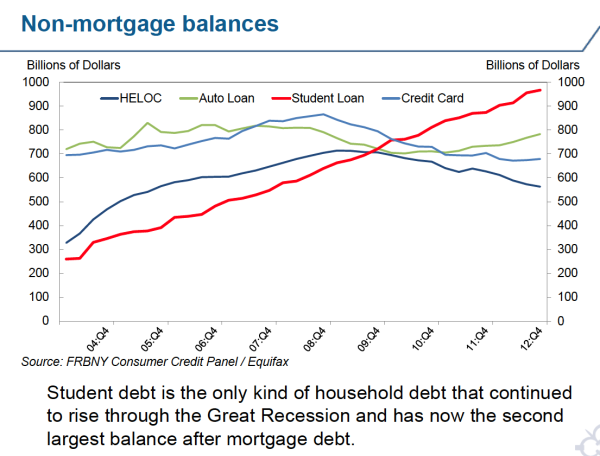 The same credit bubble logic applies to college costs which have run unchecked well past the housing bubble “pop” in 2006 and the great recession. Lately there has been discussion on the student debt crisis by economists and financial journalists that the phenomenon is overhyped – which prompted this post as a college tuition paying parent. College costs for a 4 year degree are growing at a rate of about 5%, well above inflation. Access to credit has remained easy for students and parents to obtain so there are no real checks and balances (no pun intended) on college costs. Demand is high as students and their parents often fight to gain admission and can worry about paying off the debt later. It’s been widely discussed that anemic household formation is holding back the housing market and the economy from fully recovering, that student debt has been the key culprit in holding back young people from striking out on their own, resigned to live at home until their finances get better. Speaking as a parent who just finished sending a son through college with more on the way, it’s a hard reality for parents too. I was standing on the platform the other day waiting for a delayed commuter train (hey, it’s Metro North, who else) and struck up a conversation with a woman who was lamenting about all the debt she and her husband incurred sending their 4 kids to Ivy League schools – only for them to be unable to find a job in their chosen profession or find one that pays a living wage – these factors are often mutually exclusive. Parents that borrow heavily to finance their children’s education is the sort of thing that is missed in economic data because that debt is in some other form of a home equity loan or other debt. “Parents are facing an economic crisis because they are borrowing too much for college,” says Rick Darvis, executive director of the National Institute of Certified College Planners. “They’re sacrificing their current lifestyle and robbing their future retirement.” The rising levels of parental debt could ripple through the rest of the economy. By the time parents are in their 50s and 60s, they should be saving for retirement instead of taking on new liabilities, says Joseph S. Messinger, a certified college planner and president of Capstone Wealth Partners in Columbus, Ohio. We are seeing financial coping strategies emerge like going to a community college for 2 years to save money and transferring to a better school for the remainder – or questioning the value of college all together. The cost/benefit of a college degree is being called into question because of the combination of spiraling costs and tepid job opportunities for many in the current economy. The baby boomers have taken on significant debt to finance their children’s education. Sure the average student debt is $25k to $29K, the cost of a new or used car, but I contend a large portion of college debt is in the shadows born by the parents. The average cost for a 4-year degree is about $23K (blended cost of private and public) which suggests that the debt would only cover about 80% of the cost of first year. This would imply that more than 3/4 of the cost of a 4-year degree was paid in cash through savings and working during the four year period. That doesn’t seem plausible to me – actually it seems ludicrous. Parents have to be paying cash or taking on an inordinate amount of debt to pay for the other 75% of the cost that doesn’t show up in the school related debt numbers. How common is it to see parents in our helicopter nanny state shoulder little to no financial burden for their children’s college educations? No matter the demographics, I contend it’s quite rare. 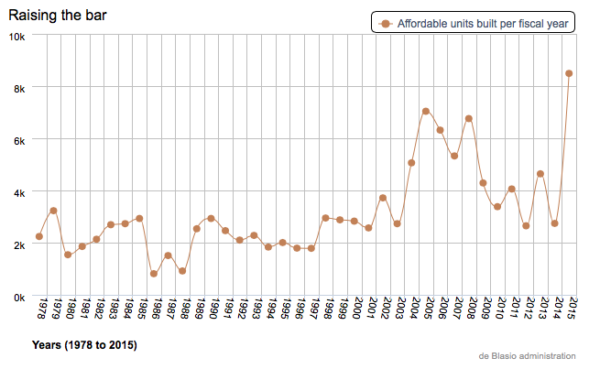 And how does this impact the US housing market recovery? Household formation is weak as young adults with high debt, limited job opportunities or both, live with their parents after graduating – for extended periods of time, delaying their entrance into the housing market. Parent’s are burdened by taking on debt for children’s college education, can’t trade up, make a lateral move, or downsize because they can’t qualify for a mortgage to buy a house (and keeps inventory off the market as well, making prices rise). The tepid economy has exposed the problem – and the heavy debt loads could provide a drag on housing for an extended period of time. Former US Treasury Secretary Timothy Geithner is promoting his book chronicling the financial crisis Stress Test: Reflections on Financial Crises. Great book name, btw. He sits down with Vox Media’s Ezra Klein to talk about what happened. I highly recommend watching this entire interview. Once you get past Ezra Klein’s sock selection, he touches on all the key points that would help us better understand what went wrong. It reconfirms why I enjoy reading anything Ezra writes. I also have to say that Geithner has a great engaging conversational style that I enjoyed and helped me gain additional insights. However the problem with the Geithner’s responses – that I can’t seem to get past – is that Geithner was head of the New York Fed, surrounded by Wall Street, during the housing bubble run up. You walk away from this conversation feeling like his actions were the only appropriate responses to the crisis – ie focus only on the banks (and grow moral hazard significantly). Of course it has to be a nightmare to get anything done in Washington. However, I also got that same feeling when I read Andrew Ross Sorkin’s well written “access journalism” book, “Too Big To Fail” – that saving the banks was all that mattered to him. It doesn’t help that I read previously Neil Barofsky’s terrific book “Bailout” which provides a lot of insights into how the sausage was made – identifying the US Treasury’s exclusive focus on the banking system when there were opportunities to help main street at the same time. Apparently Geithner takes Barofsky to task in the book, probably because Barofsky did the same. I’m not sure if I’m going to pick up a copy. Ian Shepherdson, chief economist at Pantheon Macroeconomics as a guest on Bloomberg Television points out some key issues relating to housing and the economy. 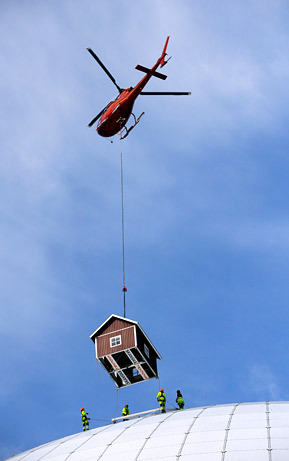 It’s a great quick overview on how housing fits into the economic recovery equation. 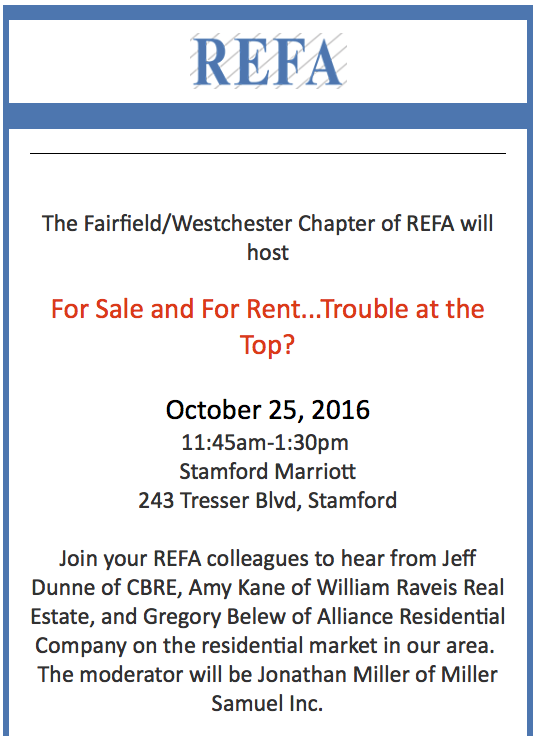 So much for a “soft handoff,” the idea of the housing moving from dependency on low mortgage rate to thriving on a stronger economy. The ideas being projected here are that the economy may improve without housing’s help.